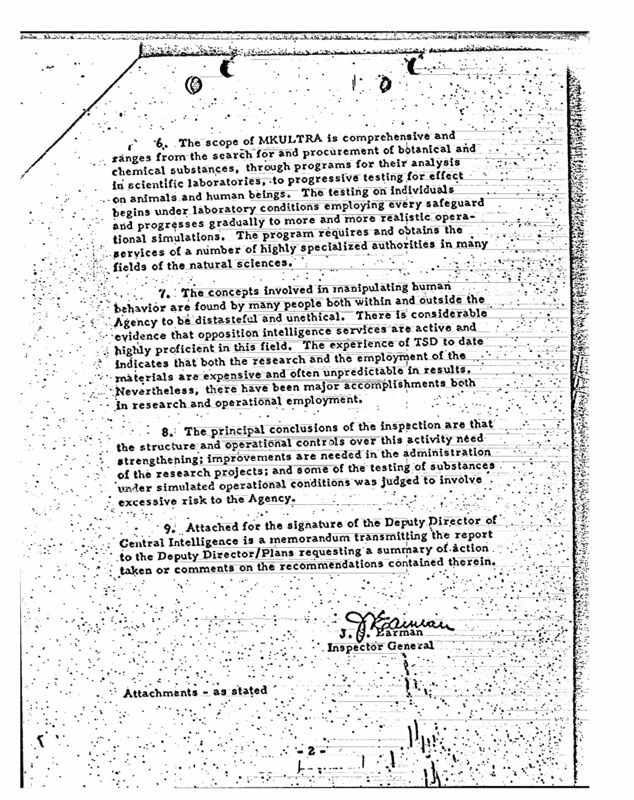 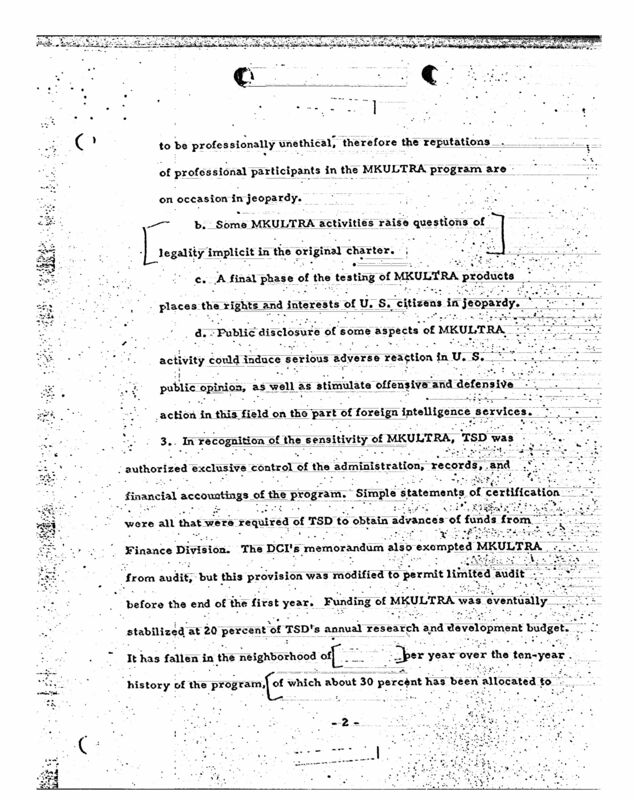 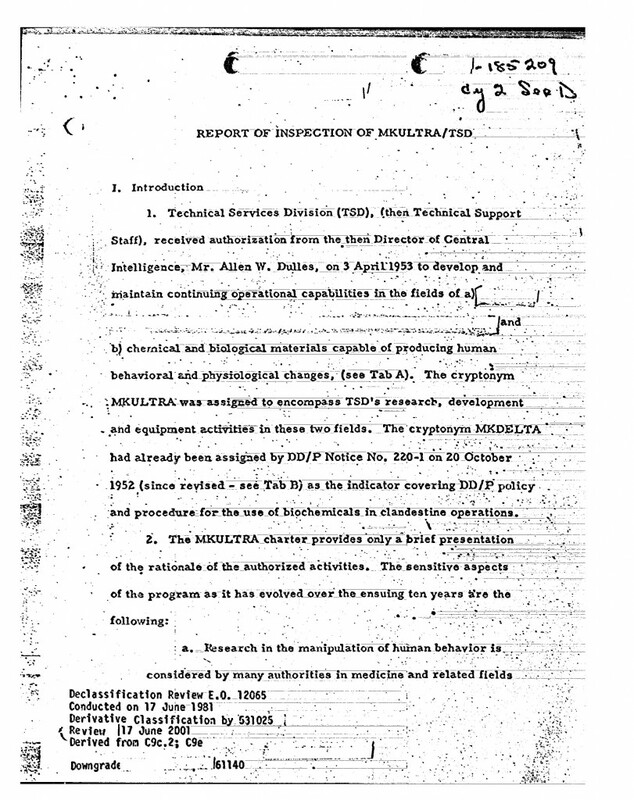 The following CIA Inspector General report was written in 1963 following an investigation into the Agency’s MKULTRA program. 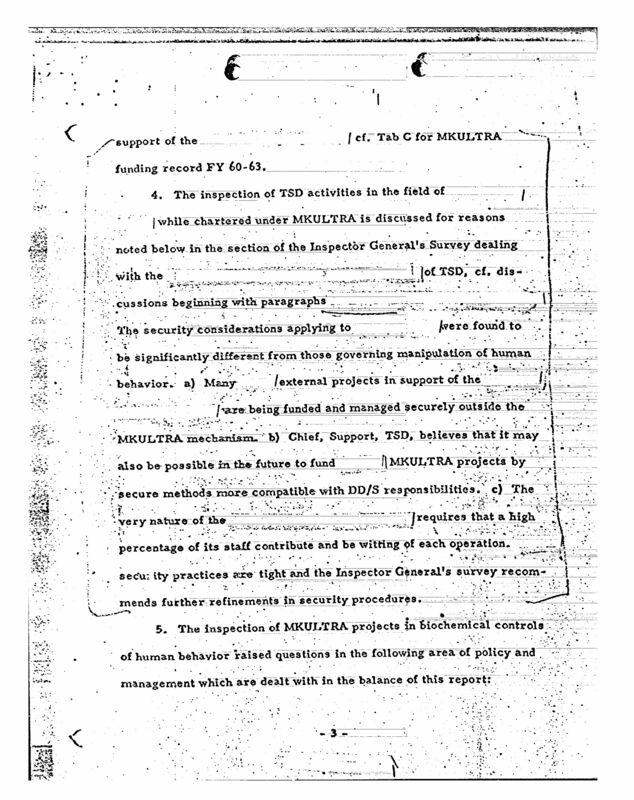 The document was made available online by Cryptome in 2001 in the form of 42 image files. We have combined the files into a PDF to make the document easier to access. 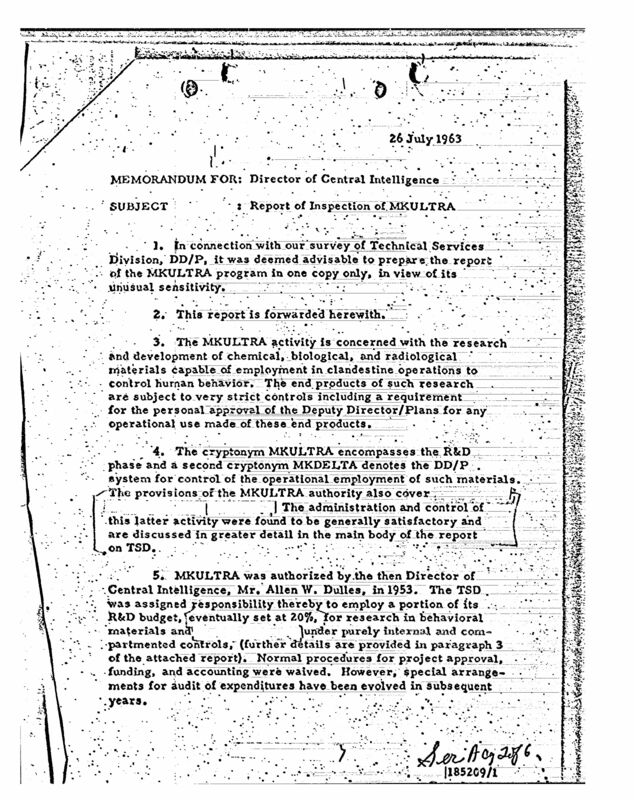 A complete transcription of the document is also available via Cryptome.